I’ve been speaking to a lot of authors lately, successful ones who make their living writing. Some of them make a pretty good living. I’m finding that a lot of them don’t really understand the economic fundamentals of publishing. They don’t even understand the meaning of “the book deal” a subject that authors talk about a lot and even obsess about. Most writers define a good book deal as a good advance. I’m going to talk about the typical elements in a book deal and try to explain them a little bit to writers. 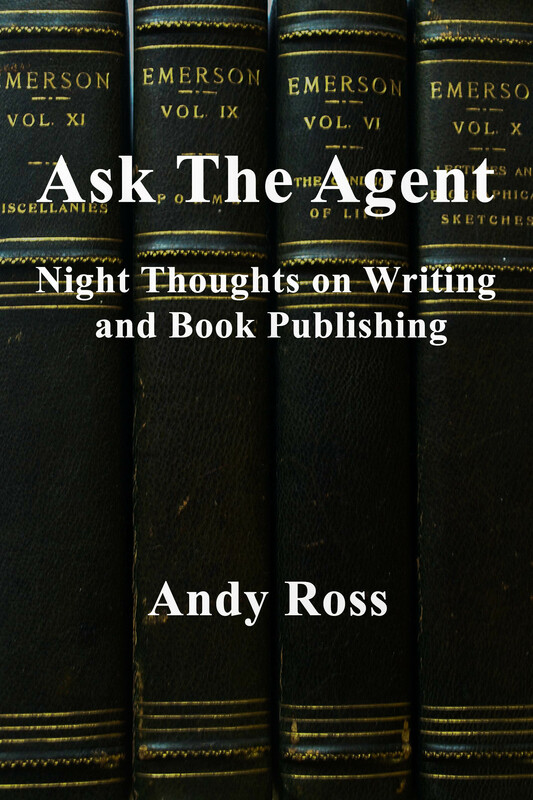 It is important to understand that any book deal has two sets of negotiations. The first is for “deal points”. This involves issues associated with money and is usually the primary concern of authors (and everybody else involved). After these points are decided, we move on to negotiating the remaining terms of the contract. This is often referred to dismissively as “boiler plate”. It is really a lot more critical than that and the interests of the author need to be well represented in this phase as well. Today I want to talk about the first element in the deal points, the advance. We will try to cover some of the other deal points next week. A lot of authors expect that an agent has at her disposal certain alchemical powers to get windfall advances from publishers for any project. I wish this were true. I won’t make estimates of how large an advance is likely to be offered on a project. Most of the agents I respect will be pretty circumspect about that as well. But what can be said is that the bargaining power of the author is really dependent on how many suitors are interested in the project. Having three or four interested publishers creates a seller’s market for the book. Similarly, if after trying for some months to sell a project, one has a single offer from a smallish publisher, there are only limited opportunities to improve this through bargaining. The advance is always the big enchilada for authors and for agents. It is a convenient shorthand for how big a deal is. As in: “This was a very significant deal. High six figures.” It is certainly a good thing to get money sooner rather than later. And authors who are making a living writing books need money in advance to let them live while the book is being written. Publishers go to some length in contract negotiations to spread out payments of advances as much as possible. If getting money sooner rather than later is good for authors, dragging out advance payments as long as possible serves the interests of publishers. Publishers usually will be quite insistent that advances be paid in 2, 3 or even 4 parts. Smaller advances are usually divided into two equal parts. The first paid on signing; The second on delivery and acceptance of the manuscript. Larger advances may have a third payment upon publication. Recently some publishers have added a fourth payment upon publication of the paperback edition. Calling this an advance is doublespeak. The fourth payment could easily be made 3 years after the contract has been signed. Publishers and publishing gurus will be quick to tell you that advances are “out of control” or indicative of a “flawed business model” and that 75% of all advances never “earn out”. (More on earning out later). As you might expect, authors and agents see things quite differently. There is a story going around that one big-time agent always says “if an advance ever earns out, I haven’t been doing my job”. I prefer to tell my clients that money is money. Although a big advance is nice, there is also money after advances in the form of royalties. But those royalty checks are going to start rolling in, if at all, down the road a spell. Sometimes, when an author has a lot of publishing suitors for a particular book, the agent conducts an auction. After a few rounds of bidding, the result may be that the offer of the largest advance gets the book. This might not be so advantageous to the writer. It may very well be that the best home for the book is a publisher who has offered a smaller advance. Most agents understand this and try to structure an auction in such a way that the advance is not the only determinant of the best offer. One often hears stories by authors who believe, probably correctly, that they got an advance that was so disproportionate to the sale of their book, that it has jeopardized their ability to get contracts for future works. A lot of authors don’t understand that the word “advance” means advance against royalties. What this means is that royalties for actual sale of books will offset the advance. No royalty checks will be paid out to the author until the total amount of royalties and other income generated from sales exceeds the amount of the advance. This is called earning out. In other words, if you have a $10,000 advance, and your royalty statement shows that you have sold enough books to create royalties of $8500, then you won’t get any royalty payments until you have earned an additional $1500 to offset the advance. Some publishers are now not giving an advance. Frequently they say that this is a new “business model”, or that they are “sharing the risk with the writer.” I suppose this is a little like calling a used car a “pre-owned car.” The idea is that writers will agree not to take an advance in exchange for a higher royalty rate, with the hope of getting better revenue down the road if the book is successful. Authors beware to make sure that in this arrangement there really is a significantly better royalty rate that accounts for your own sacrifices and risks in agreeing to forswear the advance. It is conventional wisdom that big advances are desirable for another reason as well. A big investment by a publisher in an advance will insure a big commitment in marketing and promotion to protect their investment. There is probably truth in this. Although there are many stories of the folly of publishers for paying exorbitant advances and then not following up with commensurate efforts at selling the book. Next week we are going to talk about some of the other elements of the book deal including: royalties, territorial rights, e-books, and other subsidiary rights.